Since its launch in 2017, Queclink GB100 has taken insurance telematics to a brand new level introducing traffic accident reconstruction, tow detection and eco-driving features to monitor a driver’s behavior. This time the manufacturer provided us with GB100 itself, so we decided to see if it is as good in action as it is on paper. We installed it under the hood (in a jiffy!) and took it for a ride on the streets. Let’s see what the track will look like in the dense urban conditions and how the tracker will perform. Buckle your seat belts, here we go! The key advantage of Queclink GB100 is its easy DIY installation with no professional installers needed. 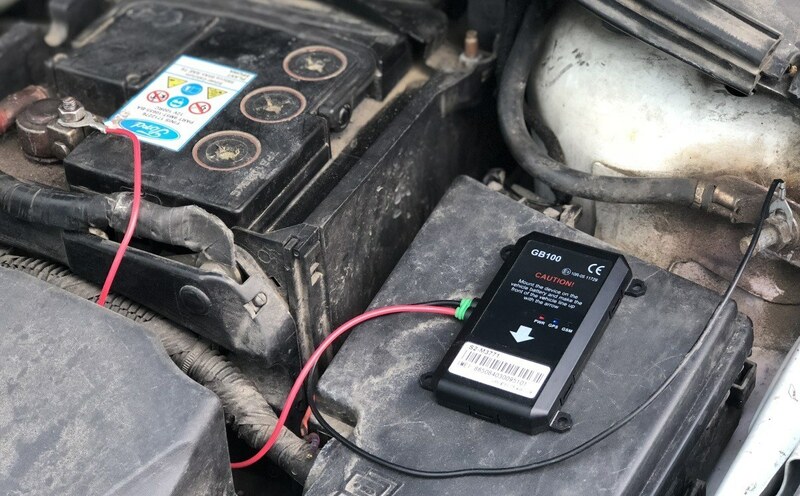 Fix the device with a double-sided duct tape under the hood or with screws under the dashboard, attach the wires to the vehicle’s battery and it’s done. We mounted GB100 under the hood next to the battery, as the wires were not long enough. It took us 5 minutes to install it. It has to be noted that Queclink engineers have done enormous work to simplify the installation. It saves your money, and the time of your employees and your clients. Another thing worth mentioning is that Queclink GB100 has ingress protection rating IP65 to keep out mud, water, and dust even when located under the hood – for greater peace of mind. At first we were skeptical about under-hood location of GB100. The thought was the signal would be weak. But the GPS tracker worked just fine, thanks to Assisted GPS feature. The track came off nice and smooth even in this dense urban environment. 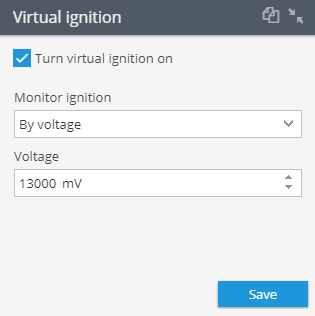 Long before the start, it was decided that we would definitely give virtual ignition feature a try. Though GB100 has no inputs, it can detect the ignition status based on the onboard network voltage – as proved by the flawless operation of the engine hour widget. In our case we set the threshold value at 13000 mV. Once the value was exceeded, the ignition went on. GB100 is equipped with a built-in 3-axis accelerometer to detect any harsh braking, acceleration and cornering. Using this data insurance companies can fully and easily reconstruct any traffic accidents. We chose not to cause any collisions (the more especially as Navixy has the theory on GB100 traffic accident reconstruction) and focused on testing of harsh driving and towing detection features. Eco Driving. The first thing we did was to set the threshold values in the monitoring system. 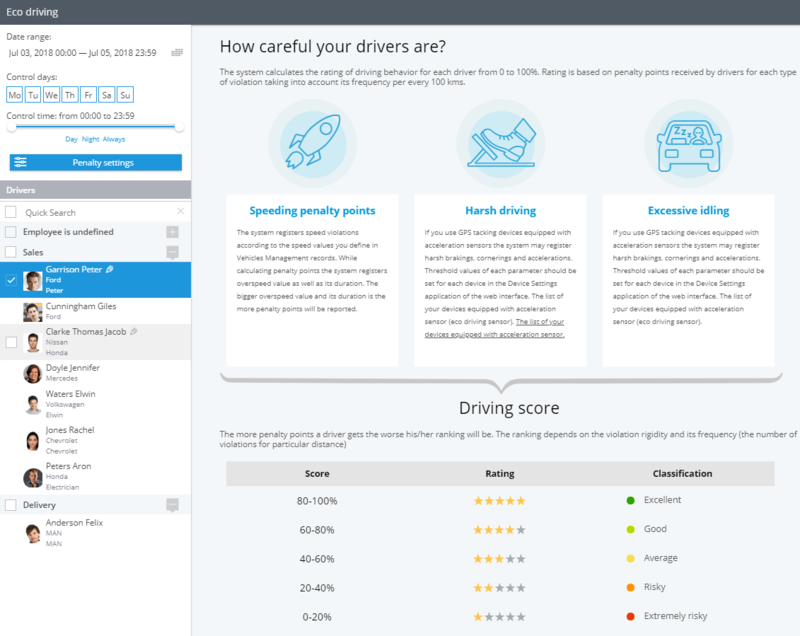 For every violation Navixy generated a notification which immediately appeared on the smartphone screen and scored penalty points to be considered in the driver’s rating. 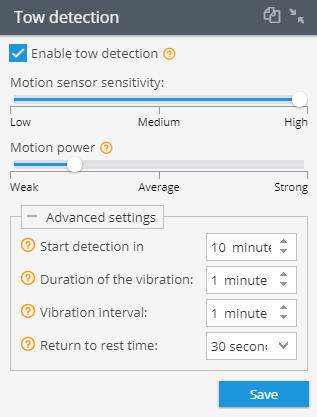 Tow Detection. At first we set up the feature through the portlet in the telematics platform. We switched off the ignition, waited for about 10 minutes for the feature to kick in and started pushing the car. 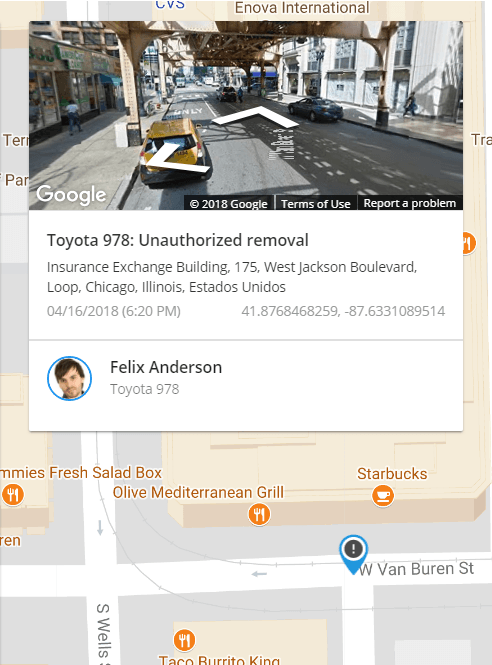 The response was immediate: an Unauthorized Movement alert was generated by the GPS tracking system in no time. 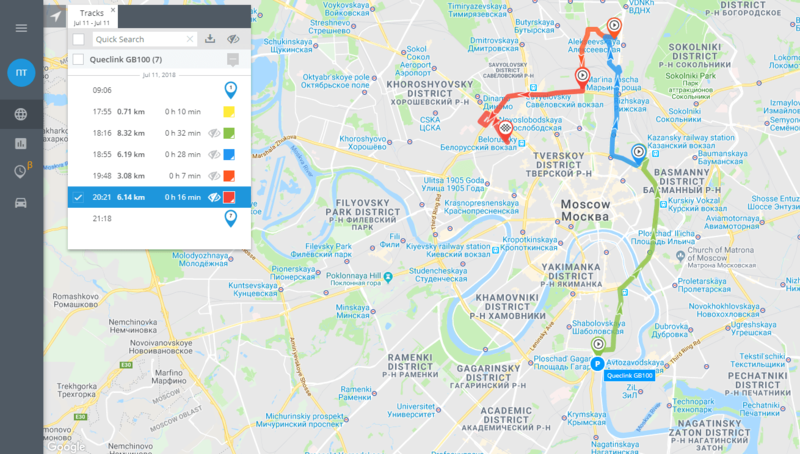 Wrapping up: all the new features introduced by the manufacturer function properly and besides being time-saving and cost-effective in terms of installation and operation the GPS tracker provides great fleet monitoring right from the engine start-up. Even in case of emergencies, either being towed or having an accident, GB100 will provide all the crucial data to the telematics platform and will send a corresponding alert. The device is perfect for insurance telematics as well as for large fleets. It helps companies optimize their costs by cutting down maintenance expenditures and minimizing the number of traffic accidents.